Universal health coverage (UHC) — the idea that everyone, everywhere, should be able to access quality health services — has been steadily climbing the global health agenda and now claims its rightful place at the very top. The Sustainable Development Goals, a collection of 17 interrelated global goals set by the United Nations in 2015, encourage all nations to realize UHC. At this year’s U.N. General Assembly, I heard Tedros Adhanom Ghebreyesus, the World Health Organization’s new director general, call for all countries to make UHC a political priority and reality for their people. For Japan, the UHC movement officially began in the 1960s, changing the game for domestic human and economic health, and providing a pioneering case study for success. Building on this foundation, Japan has consistently pushed to give UHC a prominent place in the global health agenda, particularly over the past five years. However, the seeds for UHC in Japan were sown much earlier, the first being the 1922 Health Insurance Law. After World War II Japan was in shambles; death and disability due to infectious diseases such as tuberculosis and parasitic diseases were a part of everyday life. The government understood that economic revitalization depended in large part on a major public health effort. Nationwide public health interventions contributed to eliminating those diseases, and collective efforts made by government, together with the private sector, academia and individual citizens, created the foundation for the provision of basic health care to all. 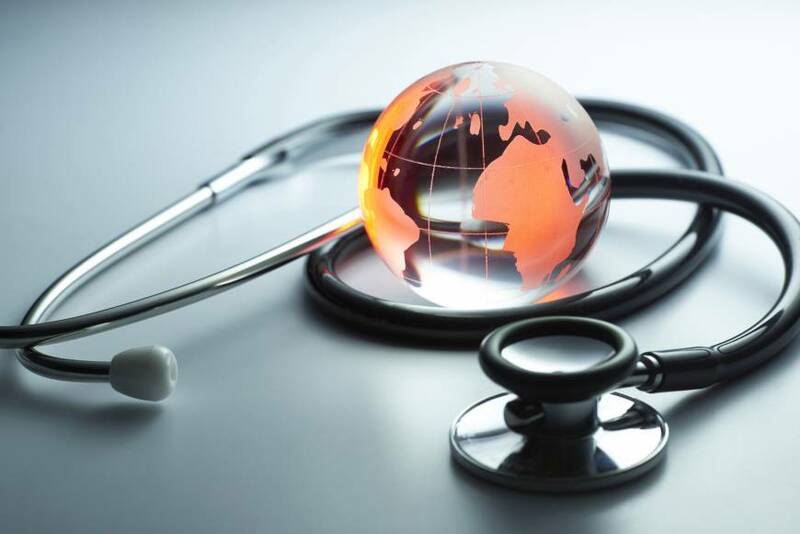 With the introduction of social health insurance, Japan achieved UHC in 1961 and completed its metamorphosis from developing country to global economic powerhouse. Over 50 years have passed since then: Japan now has the highest life expectancy of any country and is the third-largest economy in the world. As the people of Japan have experienced firsthand, UHC produces high returns on investment, especially for vulnerable communities, including women, children, adolescents and older people. Healthy people can go to school and work, have more opportunities to thrive, and drive economic growth and social cohesion. Health is the foundation of a nation’s prosperity. While a rapidly aging society and low birthrate place new challenges on the health system, the country’s more than long-term successful implementation of UHC carries critical lessons for the many developing countries striving to achieve similar results. Political will and stability, strategic investment, trained personnel and a well-designed health system that includes health insurance are all critical to UHC. Another element that is often overlooked, but is, in my opinion, a key pillar to successful UHC, is innovation — the creation of new and/or improved drugs, vaccines, diagnostics and systems. Innovation is indispensable to the realization of UHC, and as such it is no coincidence that Japan has also long been the No. 3 global leader in drug development. Without high-quality appropriate, affordable and accessible drugs, vaccines and diagnostics with which to treat, prevent and detect disease, even the highest-functioning health systems cannot meet the fundamental health and needs of their populations. In the developed world, most of the fundamental tools we need largely already exist. However, in the developing world health needs are often different; many infectious diseases like malaria and tuberculosis, and neglected tropical diseases like leishmaniasis, schistosomiasis, Chagas disease and dengue fever are experiencing dangerous resistance, have no effective treatment or if a treatment does exist, it is ineffective and even dangerous for children — in many cases the primary victims of such maladies. These diseases affect hundreds of millions of people — 1 out of every 7 people in the world. As we invest in policy strengthening and human resource training to support UHC in the developing world, we must also prioritize the costly and time-intensive research and development of new and improved technologies, which the market does not catalyze on its own due to the simple and tragic fact that target populations cannot pay for them. 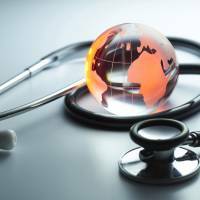 It is worth the money and we can’t attain true global UHC without it. Over the past 20 years, the global health community has aligned through the WHO, the U.N., foundations such as the Bill & Melinda Gates Foundation and Wellcome Trust, and the establishment of product development partnerships to push forward innovations for these diseases. In 2013, Japan further moved the dial by establishing the Global Health Innovative Technology Fund (GHIT Fund) — the world’s first and innovative public-private partnership fund for global health R&D. Funded by Japan’s Foreign Ministry and the Health, Labour and Welfare Ministry, the United Nations Development Programme (UNDP), Bill & Melinda Gates Foundation, Wellcome Trust and multiple global biopharma companies, the GHIT Fund facilitates international partnerships that bring Japan’s technology and R&D know-how to the global fight against neglected diseases. In just five years, GHIT has built a solid and diverse R&D pipeline, marking a pivot point for global health progress. Seven GHIT-funded clinical trials are underway in the developing world for innovations that will literally transform entire communities. R&D is essential. Yet innovation only makes an impact if it is effectively delivered to those who need it most. In recognition, the Japanese government also invested in the UNDP’s Access & Delivery Partnership (ADP), which strengthens the capacity of health systems in low- and middle-income countries so that the innovations that emerge from GHIT’s and others’ pipelines can effectively reach the populations in need. Through the strategy of catalyzing R&D for new health technologies through GHIT, while at the same time facilitating their sustainable access and equitable delivery through the ADP, the government of Japan connected what were previously two parallel elements of the global health response. It is no coincidence that Japan has at the same time been a vocal global leader in the UHC movement. On Wednesday and Thursday, the government, together with several international organizations, will host the UHC Forum 2017 in Tokyo to discuss opportunities and challenges to achieving UHC, inviting leaders from low- and middle-income countries around the world. I hope Japan’s experience, innovation and leadership will continue to help other countries to achieve UHC. Kiyoshi Kurokawa is the representative director and chair of the Global Health Innovative Technology Fund and chairman of Health and Global Policy Institute, and a professor emeritus at the National Graduate Institute for Policy Studies and the University of Tokyo.